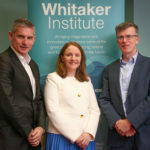 Eoin Whelan is a Senior Lecturer in Business Information Systems at the National University of Ireland, Galway. He is also a visiting professor at the Institute dEconomie Scientifique et de Gestion (IESEG), France, and a visiting researcher at Stellenbosch University, South Africa. He received his PhD from NUI Galway in 2010. His current research interests focus upon understanding how social media technologies influence worker stress, decision making, productivity, creativity, and work-life conflict. His publications have appeared in the 3* journals MIT Sloan Management Review, Information Systems Journal, R&D Management, Journal of Information Technology, and Information & Organization. His MIT Sloan paper on open innovation networks has recently won the prestigious Richard Beckhard Memorial Prize, awarded to the authors of the most outstanding MIT Sloan article on planned change and organisational development. The findings of his research have also been featured in mainstream international outlets such as Forbes, Financial Times, Fortune, Reuters, Irish Independent, and the Irish Times. Eoin also received the NUI Galway President's Early Stage Researcher Award in 2016. Eoin is a Senior Editor of Information & Organization, and Information Technology & People and was also lead editor for two special issues in top basket information systems journals - Journal of the Association of Information Systems (2014, The role of IS in enabling open innovation), and Information Systems Journal (2013, Interpreting digital enabled social networks). Prior to becoming an academic, Eoin held a variety of business analyst positions in Ireland, New Zealand, and the US.